Atheists United San Luis Obispo (AU/SLO) is a community-based chapter of Atheists United (AU). AU/SLO is locally organized and defines its own agenda based on the support of volunteers and financial contributions from our community. Through a collaborative effort with AU, we pursue an active and supportive atheist community by promoting many shared core mission goals. We are a 501(c)(3) not-for-profit, tax deductible educational organization. AU/SLO kicked-off its debut meeting in January 2010 with Steve Arkowitz, organizer of the SLO chapter and Martin Williams as assistant organizer. With an initial meeting of 15 people coalescing at the Steynberg Gallery, interest quickly grew. 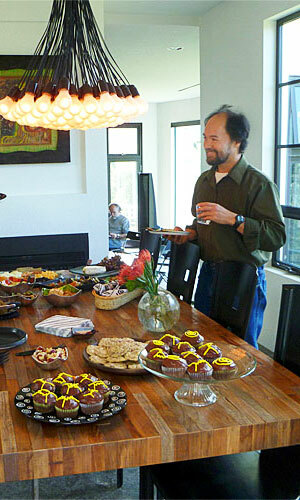 Monthly meetings continued to be held with membership growing to 40 by March 2010. As of 2015, AU/SLO has flourished into a vibrant chapter, boasting 400 members with multiple events held monthly throughout the Central Coast. 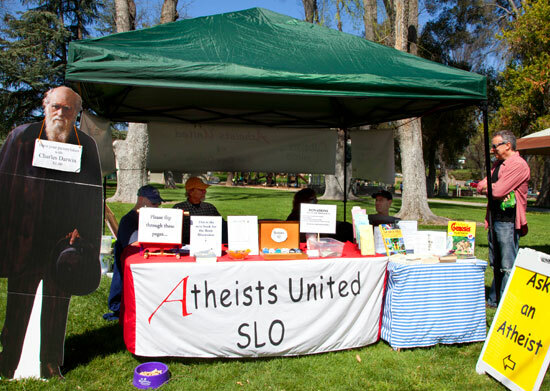 AU/SLO is a local chapter of Atheists United (AU) [Est. 1982] one of the largest freethought organizations in the nation as well as the Southern California region. AU shares affiliation with Atheists Alliance of America and the Los Angeles Freethought Federation and provides support, sponsorship and governance to AU/SLO. Additional local chapters of AU are located throughout the greater Los Angeles area. AU/SLO is affiliated with Central Coast Coalition of Reason (CCCoR), an alliance of atheist, free thought, and humanist groups working together on the Central Coast of California. CCoR is comprised of four community groups: Atheists United SLO, Alliance of Happy Atheists (California Polytechnic State University student group), the Santa Barbara Humanist Society and SLO Secular Families. As the most vibrant atheist group on the Central Coast, we welcome participation through a variety of exciting planned events. We hope to engage members by creating a fellowship of non-believers that is both supportive and stimulating. For many people, living a life as a non-believer, isolation can be common experience as religion is often the standard for public acceptance. AU/SLO is committed to creating an outlet for atheists to meet and connect with other like-minded people in our community. AU/SLO engages in ways to help improve the quality of our community through participating in various charitable activities and services. As our organization continues to grow so will the opportunities to be involved in community service. AU/SLO is active in engaging in opportunities to defend the separation of government and religion in our community. We are an organization who endorses the fair and equal treatment for all people in our community, including those who are religion-free. As such, we value the importance of ensuring that citizens SLO County are protected by rights afforded by our California State Constitution and the US Constitution. Radio, television and newspaper outreach with members participating in interviews and editorials on the merits of separation of church and state. Atheists United is locally organized by a Board of Directors whose members are nominated and elected by AU/SLO members. Our Board meets monthly on the second Monday of each month to discuss chapter business and members are welcome to attend and voice their input.